Mega Moolah slot review - Play the World's top Progressive Jackpot slot! Mega Moolah slot review – The King of Progressive Jackpots! Where to play Mega Moolah slots online free? 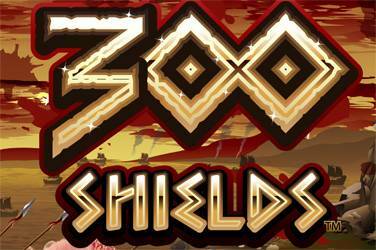 Mega Moolah’s free spins and multipliers. 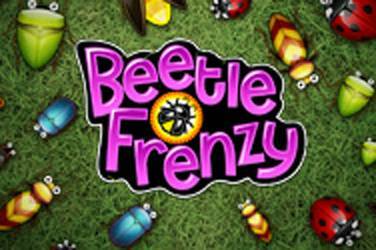 More playing options in Mega Moolah slots. If you ask online casino players what their favourite slot is, you will probably get a lot of “Mega Moolahs” as an answer. Why? Well, progressive ones are among the most loved video slots, because they offer jackpots that are bigger than usual. And if you add to this, the fact that Mega Moolah has given away the biggest jackpot ever in the history of online video slots (more than 6 million coins), you could get an idea of why people find it alluring. In Mega Moolah slot, you can bet from 1p to 5p and use up to 125 coins. 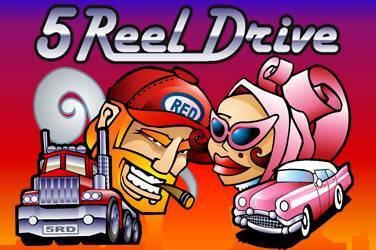 Mega Moolah is a five reeled slot with the possibility to bet on up to 25 paylines. The more lines you wager on, the more chances you get of making a winning move; and if you get to make “The Big Win”, you could end up owning one of the four mouth-watering jackpots. Let me explain to you how this works. Of all the money played into the slot, a percentage is taken to make the big progressive jackpot, meaning that as more people play, the jackpot continues to grow until somebody hits the winning combination for the top prize. 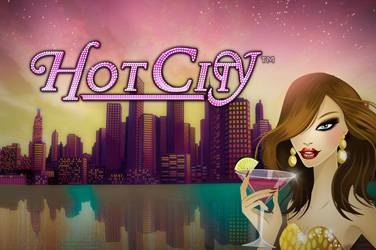 As this Mega Moolah slot review found, this game has been since its creation on 2006 among the public’s predilected progressives and the jackpot has grown up to 40,000 coins per day, marking a milestone in online gaming. Unlock the magic of the Multi-million four-tiered Progressive Jackpot game : Mega Moolah slot; activate free spins and spins the Jackpot Wheel to win big! 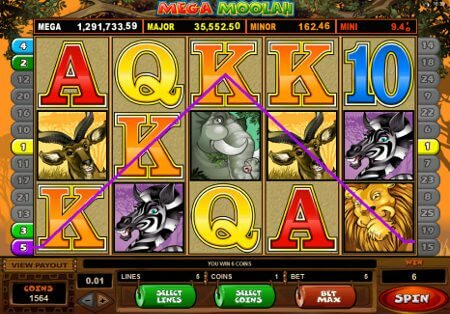 Mega Moolah is a four-tiered progressive jackpot game. The Mega Moolah Jackpot Progressive starts at 1,000,000 coins. Then, there is the Major Progressive, starting at 10,000 coins; the Minor Progressive, starting at 100 coins, and the Mini Progressive, which starts at 10 coins. There is a jackpot wheel, which is randomly triggered. You spin it in order to win a jackpot. This wheel is divided into 20 spaces. There is one white space, which corresponds to the Mega. Additionally, there are 3 yellow ones that belong to the Mayor; six orange ones, to the Minor; and 10 red spaces, to the Mini. Mega Moolah’s theme evokes an African safari. Its symbols include lions, monkeys, antelopes, elephants, zebras, giraffes, and buffalos. The remaining symbols are the ones from the poker playing cards – Ace, King, Queen, 10, and 9. 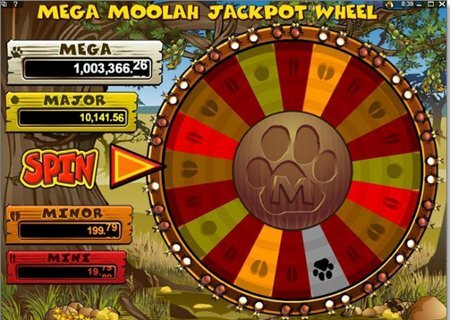 As it might be expected, in Mega Moolah slot machine, the King of the Jungle is a special symbol. It works as a Wild and substitutes any other symbol — except for the Scatter. The Lion will also double the payout of any winning combination it completes. In Mega Moolah slots, the Scatter symbol is the Monkey. The good thing about scatters is that they can land anywhere across the reels to complete winning combinations. If you get three or more Monkeys, the Free Spins Bonus Game will be triggered. 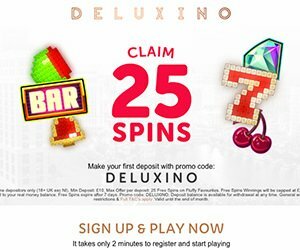 It gives you 15 Free Spins. During this time, all your wins are tripled. Also, this feature can be re-triggered. Mega Moolah offers the option to play in Expert Mode, which enables the Autoplay feature. The Mega Moolah progressive slot is attached to 5 slot machines: The original Mega Moolah, 5 Reel Drive, Summertime, Isis, and the Dark Knight. Ask any player around and they will tell you Mega Moolah slot is definitely by far one of the most popular slot machines ever created. 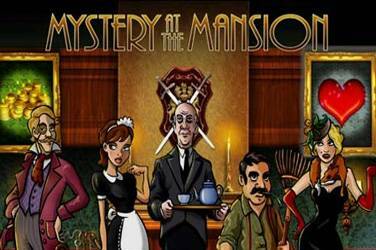 It’s without question one of Microgaming’s top three games and one you can afford to miss out on. Join any of our recommended online casinos to play Mega Moolah now and win it big!